“Del Valle” is Spanish for “from the valley”, and it is also the name of the last street that all members of my family resided together. This project is about specific circumstances of my own family and my parents’ divorce, but it is also about universal matters—love, communication, pain. The writing that accompanies this project in its book form talks more about the simplicity of the place in which I was raised, the growth of distrust, development of mental illness, and the slow beginning processes of grief. In the beginning of the book Inherent Vice, Thomas Pynchon writes: “This picture of Doc’s showed a Southern California beach that never was—palms, bikini babes, surfboards, the works. He thought of it as a window to look out of when he couldn’t deal with looking out of the traditional glass-type one in the other room.” Since leaving San Diego, I have received so many dewy-eyed gazes after revealing where I am from, so I wanted to capture this place through that lens of the American Dream that people imagine. 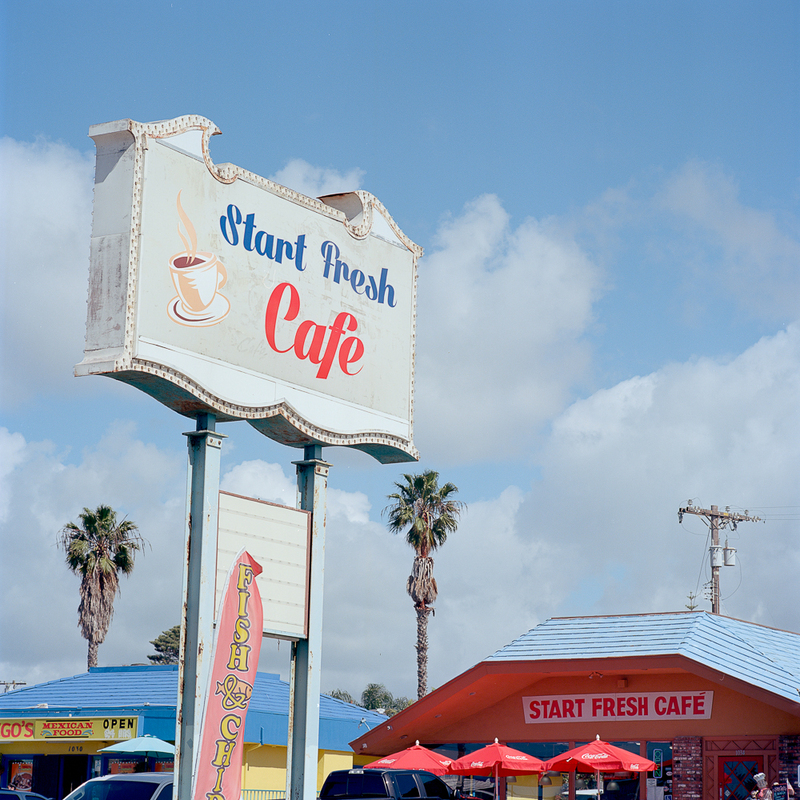 I wanted the photographs to stand in opposition to all of the specificity of the writing, and focus more on the place—to create an almost dream-like picture of Southern California.